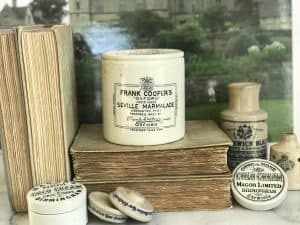 Offering one (1) Rare Frank Cooper Marmalade Pot Large 2# pound size c 1900. 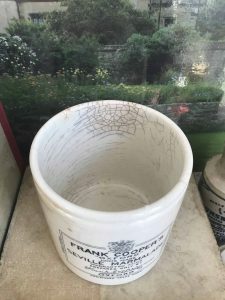 Another Rare and hard to get Frank Cooper’s Large 2# pound Marmalade pot. 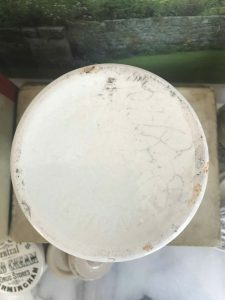 Very clean with no chips or cracks although there is overall crazing and some discoloration. 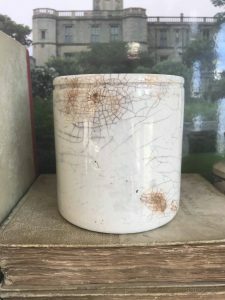 These go so quickly so if you are interested you better grab it!